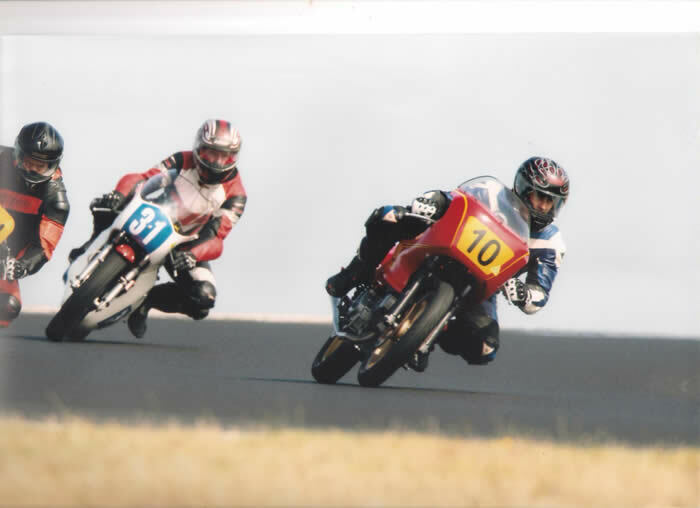 I started racing age 45, my first year was on a Muz Skorpion supermono ( Muz frame with a 600cc Yamaha single cylinder motor ) & then in 2009 I went to watch the 2009 Australian Historic Titles at Morgan Park Warwick and fell in love with historic bikes and the atmosphere. After much discussion at the pub that night about which class and which bike to ride a bloke rode into the car park on a Ducati Pantah 500 and I thought it would make the perfect bike to start with. Not long after I received a freak phone call from Gary Roberts who was interested in the fact I was racing a Muz and as it happened imports Ducati's from Japan and had a 500 coming in a few weeks time. He also knew a top Ducati mechanic that had also raced successfully who might work on the bike for me. I couldn't believe how things were falling in to place & I soon became the proud owner of a dark purple Ducati 500. Ken Taylor from T.D.C motorcycles did all the mechanical work on the bike and it’s a great bike to ride. Mechanically it’s fairly standard with porting and cam timing the main modifications. It has 2 pipes of equal volume rather than a 2 in to 1, 40mm forks, larger clutch, 280mm discs and calipers, YSS rear shocks but otherwise standard. I love riding it and the atmosphere and comraderie at the meets is fantastic. Ken has helped so much with the bikes setup, plus his overall knowledge of racing has been a huge help for someone starting racing so late. 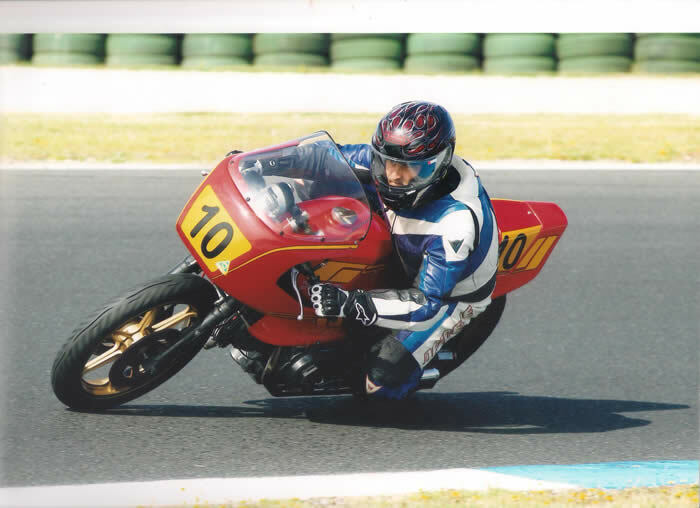 Even though Phillip Island is more suited to larger capacity bikes it is my favourite track and the Phillip Island Classic is a fantastic meeting that everyone should do at least once. So if you are thinking of giving racing a go, go for it. I think it’s safer than the road and has made me keep an eye on my fitness, so it’s all good, see you out there. Mick.